class="post-template-default single single-post postid-360702 single-format-standard group-blog masthead-fixed full-width singular wpb-js-composer js-comp-ver-5.7 vc_responsive"
CURTIS, Neb. – Sixteen FFA chapters from southwest Nebraska brought 275 students to competitions last month in Curtis. 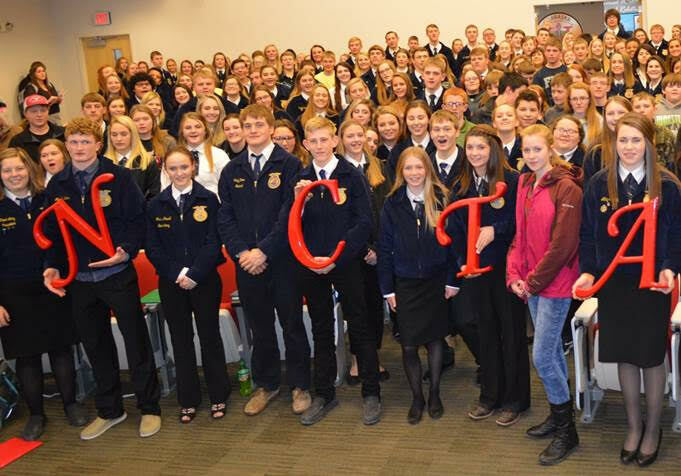 The Nebraska College of Technical Agriculture hosts district contests several times each year for high school FFA students. The District 11 FFA contest for leadership development events brings students to the NCTA contest. High placings qualified some entries to advance to the State FFA Convention in April.